Narrow loop design staggers the wedges vertically on the bar allowing the wire to be centered and attached quickly and easily. Narrow loop design staggers the wedges vertically on the bar allowing the wire to be centered and attached quickly and easily. The narrow loop design also works well with 2x4 woven wire. 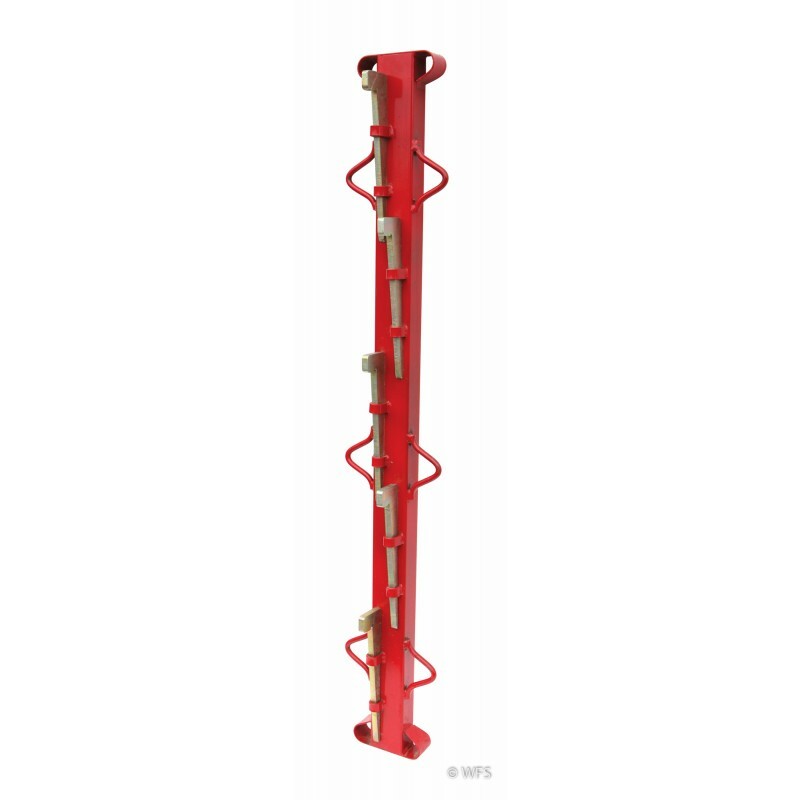 Stretcher bars are available in 5 sizes; 53" bar/5 wedges, 66"bar/6 wedges, 80" bar/7 wedges, 99" bar/9 wedges, and 127" bar/11 wedges. Replacement wedges also available. 99 x 4.5 x 6.25 "